Delving into the history of one of Atlanta’s many thriving communities is a great way to educate yourself when looking for the perfect community to live in. East Lake, located east of Atlanta in Dekalb County, is a community driven neighborhood with engaged residents and ample resources. From a popular vacation destination in the early 1900’s to a state of disrepair and back, East Lake is thriving thanks to the holistic community revitalization approach established by Tom Cousins in 1995 through The East Lake Foundation. By combining mixed-income housing, a cradle-to-college education and offering wellness programs, The East Lake Foundation engages all community members and creates a strong foundation for the future. East Lake, with many events including this weekends Tour of Homes and next week’s PGA Tour Championship, is proud to be a Purpose Built Community. Local realtors even offer open houses during these events to showcase the community’s resources and historic homes, so it is a great time to visit! East Lake’s PGA Tour Championship is steeped in traditions that reach far beyond the avid golfer and the rich history of the golf course and the impact on East Lake is truly inspirational. 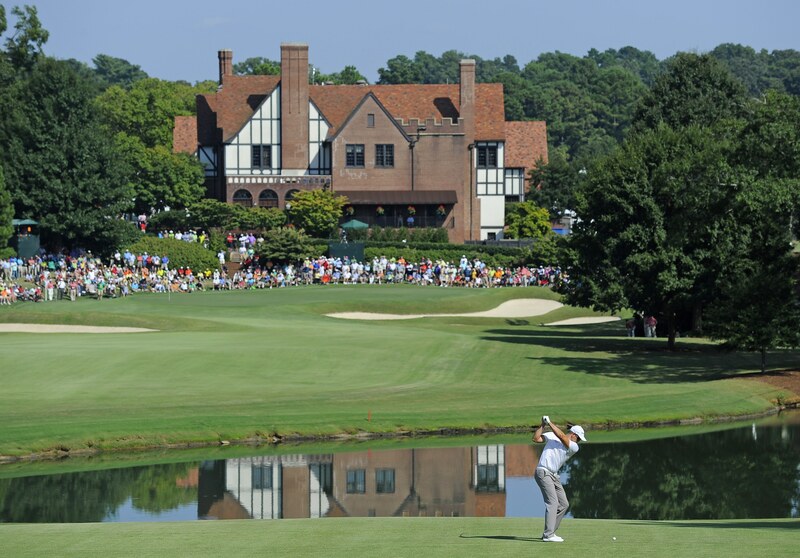 East Lake Golf Club began hosting The PGA Tour Championship in 1998 and over the last 20 years has used its popularity to funnel resources back into the community. The Tour has become a coveted community event and in addition to providing an exciting competition, has donated over $10,000,000 to local charities with the bulk of the donations going directly back into the community through The East Lake Foundation and The East lake Junior Golf Academy’s partnership with The First Tee program. Adjacent to The East Lake Golf Club, Charlie Yates Golf Course is a public course for all to enjoy. With Drew Charter School serving Pre-K through 12th grade, East Lake is well rounded for residents of all ages. With all the resources available, East Lake is a great place to settle in and call home. Carter and Associates is here to help with your real estate needs in East Lake and surrounding areas. Call us today at 404-944-6577.